I actually went in on three auctions for this card and two if it's low numbered parallels, but alas I only one this one! The third auction was numbered out of /15 and had three relics. Darn my luck. But, this one is still pretty dang awesome with all three of the big named guys I collect. Nothing all that special as far as the swatch, but I love the look of this card! 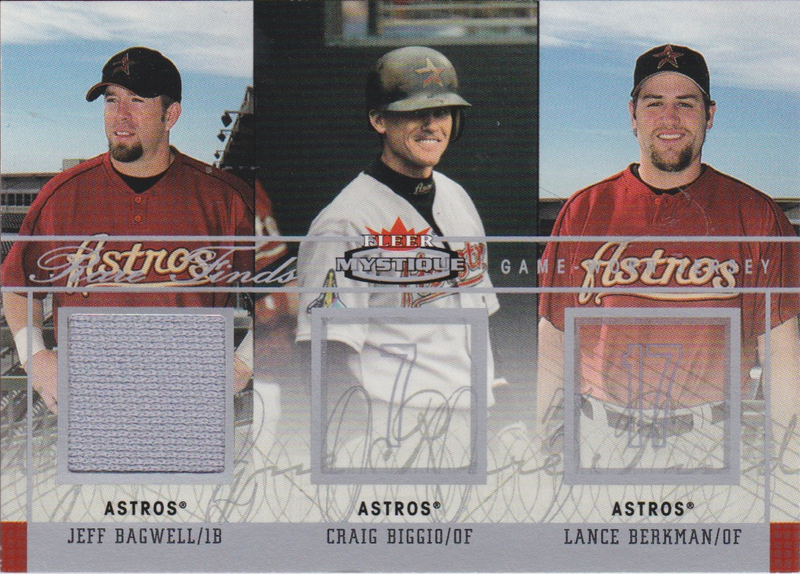 Another Day, Another Biggio In The Books! How About Some REAL GQ? Mail Days Are My Favorite!